I would like to introduce you to a small Gasparo, measuring 39.5 cm, of which only one instrument has survived. 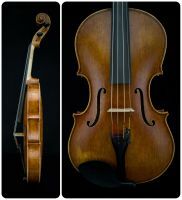 It was built in 1580 and is of particular interest to those musicians who prefer a small viola whose sound approaches more of a tenor timbre rather than the alto range. 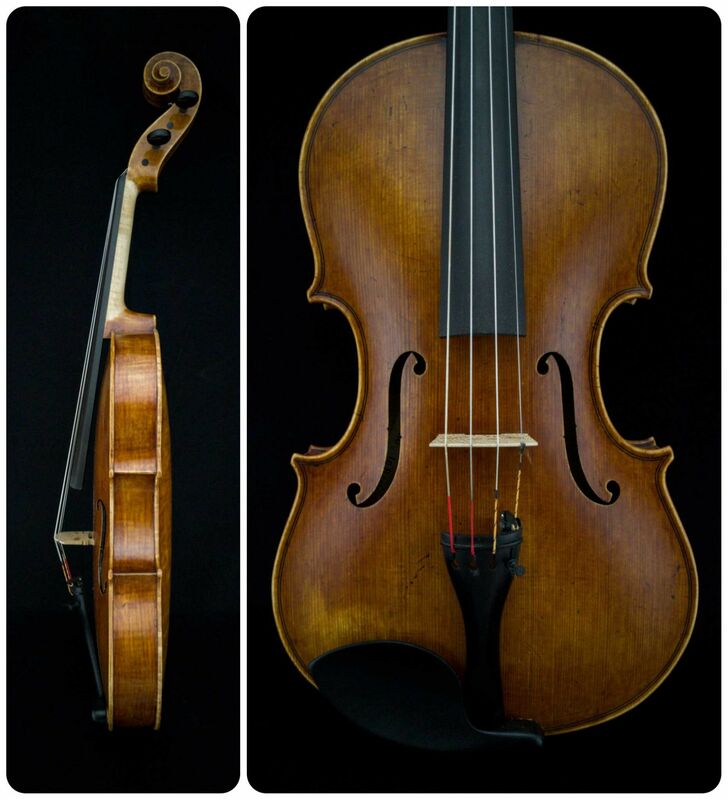 This small viola really sounds like a large one and is played professionally by some of our clients, in the Goeteborger Orchestra (beginning 2007), for example. More information and pictures can be found on this page. Following my experiments with several different small viola models, I consider this model to be the most convincing for all those musicians who want a small mensur with the sound of a big instrument. 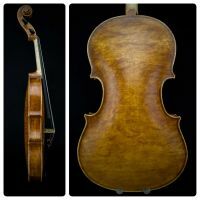 On the following pictures you can see the viola finished in 2019. 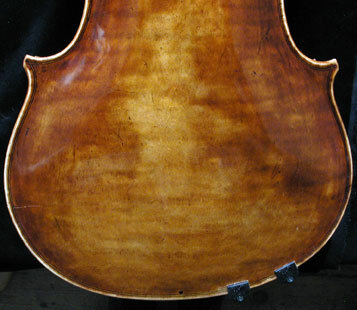 The top is made of old, very beautiful spruce, the back of very rare maple. An optical and tonal masterpiece!